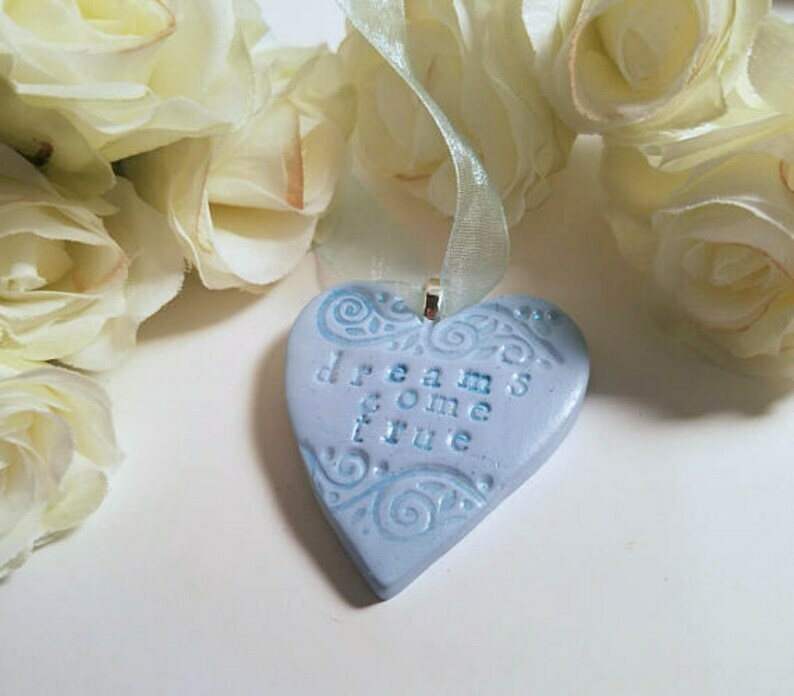 A "something blue" heart with the words Dreams Come True will add a romantic touch to the wedding bouquet, and become a keepsake ornament after the special day. Handmade of light blue polymer clay, with imprinted delicate swirls and lettering, accented with aqua ink. *•.¸♥¸.•* HANDMADE TO ORDER - placement of stamping may vary slightly on each heart. *•.¸♥¸.•* CUSTOM ORDERS WELCOME. Would you like a DIFFERENT COLOR or more than 1? Please ask.